The Pompeii Project is located on the north-western corner of E69/2450 (Figure 1). The key attributes that define its prospectivity are the inferred transform structure (Fault Zone C) (Figure 2), an interpreted antiform and spatial proximity to a felsic intrusive. 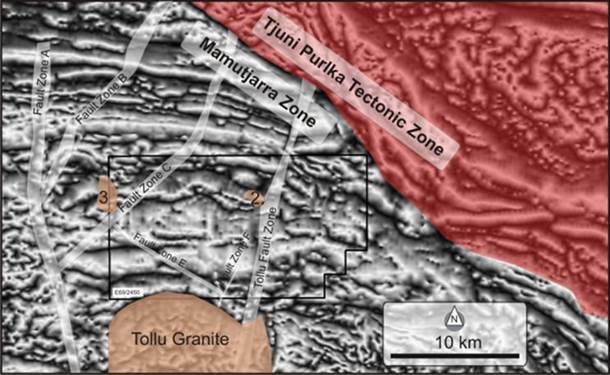 The geology has been interpreted from GSWA mapping (Figure 3). It includes two key units, a pebbly conglomerate (P_-TLh-frsi) that enables substantial fluid flow, and a volcanic siltstone (P_-TLh-frn) which may act as a redox trap. A distinct black feature is observed overlying the southern limb of this anticline, and to a lesser extent in the northern limb. 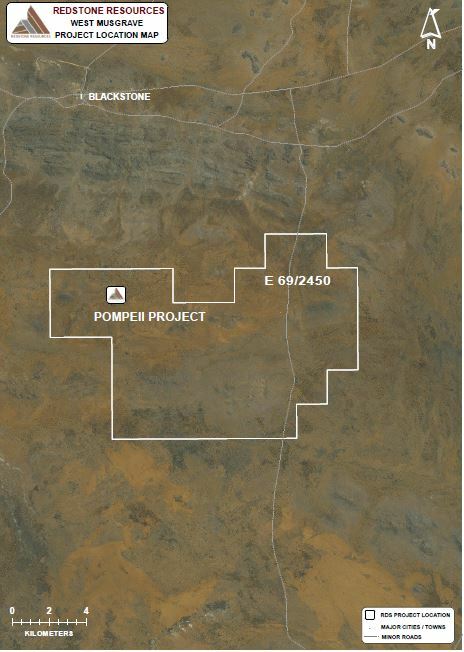 The Pompeii Project is prospective for Mt Isa style-copper sediment-hosted. 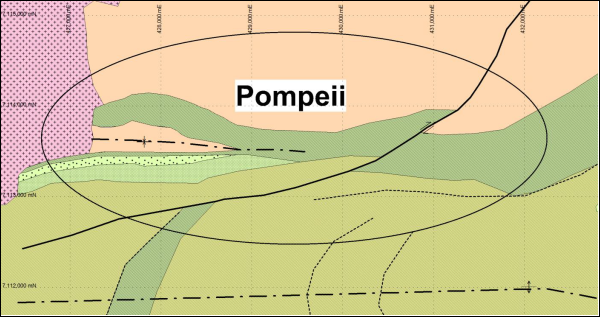 Figure 3 – The geological map for the Pompeii Project representing the Fault Zone C and the antiform in close proximity to an intrusive felsic unit.